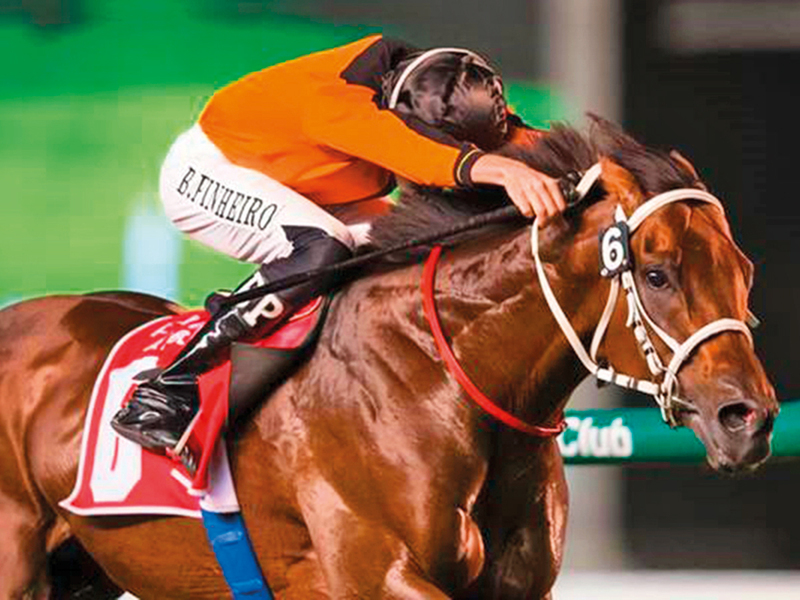 Dubai: Trainer-owner Rashed Bouresly’s best ever UAE racing season continued unabated when the enthusiastic Kuwaiti took out the Zabeel Trophy sponsored by Emirates Airline, the feature event at Meydan’s first post Dubai World Cup race meeting on Friday evening. Bouresly sent out his 11th winner of the term when Ajwad, ridden confidently by Bernardo Pinheiro made all to win the 1,600 metre turf event in convincing fashion. Favourite Above N Beyond was 4½ lengths back in third under Connor Beasley with Almoreb, the mount of Fernando Jar, a short-head third. Pinheiro, who was riding his 10th winner of the season. said: “He is a super horse and definitely a favourite of mine who I have now won on twice from just three efforts and, if Super Saturday was a week later, he would have been third behind Blue Point with a bit more time between races. “He had enjoyed a nice break before today and I was always confident because I knew I was travelling strongly,” he added. Beasely, who has enjoyed a profitable season with Emirati handler Ahmad Bin Harmas, rode a blinder aboard Rockey Power to deny Richard Mullen and Riflescore in the Emirates Skywards. The six-year-old gelded son of Kyllachy was registering his fifth victory of the season.